HGPRT-deficient line from F2408 (IFO 50015). This cell line exhibits temperature sensitive phenotype for transformation by Moloney MSV. HGPRT-deficient. Temperature sensitive when this cell line is transformed by MSV. 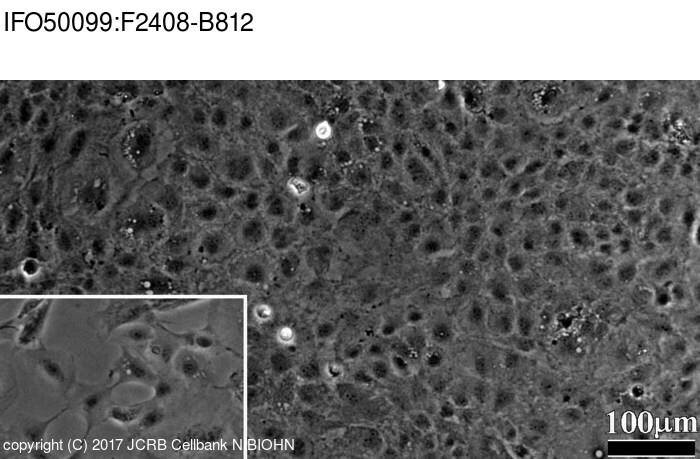 HGPRT-deficient cell line from F2408. This cell line exhibits temperature sensitive phenotype for transformation by Moloney MSV. The transforming efficiency considerably decreases at 39 C compared to at 33 C.